This Beautiful Fantastic tells the story of Bella Brown, a girl who, after being taken care of by ducks as a baby, has now grown up to suffer from some kind of OCD and complete aversion towards nature. But when her landlord threatens to evict her if she does not fix the garden, she has to overcome her fear and work hard with the help of her grouchy neighbour, Alfie, and her new friend and housekeeper, Vernon. The movie was overall enjoyable, but there were some things that have striked me as somewhat strange. First and foremost, the cinematographic style, especially the beginning, is reminiscent of Wes Anderson's style, and of some adaptations of Roald Dahl’s stories (like, for example, Roald Dahl’s Esio Trot). The narrator’s voice-over and the fantastic elements really took me back to the narrative used in movies like The Grand Budapest Hotel or The Royal Tenenbaums. I enjoyed that, since I myself am a big fan of this magical realism that imbues both Anderson’s movies and children stories. 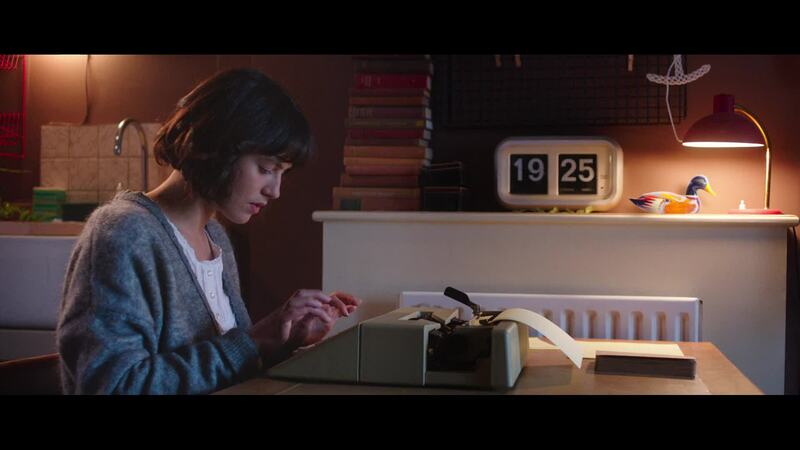 If you are not keen on this type of narrative, maybe This Beautiful Fantastic won’t be your favourite film. But what was disappointing was that this style is abandoned approximately ten minutes into the movie, something which kind of finishes up the story's charm. What starts off as quite an imaginative movie with a very original narrative, ends up forgetting about all its incredible attributes halfway through it, and becomes just another regular film. It almost seems as though the writers were not brave enough to go all the way. Was it intended to be magical realism or just realism? Even to the very end, it's not clear. Despite this, This Beautiful Fantastic remains quite entertaining, and the story is pretty and sweet. Yet in the end, there are still so many unanswered questions; one can't help but feel as though only the most superficial parts of the story end up being told, and so many passing mentions of the characters' backstories are never further explored. Without any exploration of this potential depth, it feels as though many of the characters act in weird manners without reason, only to power the action, which lends the entire narrative a sense of artificiality. The best parts of This Beautiful Fantastic are the performances by the two leading actors, Tom Wilkinson and Jessica Brown Findley. Wilkinson gives an outstanding performance as Alfie Stephenson, Bella’s old and grumpy neighbour, and Brown Findley is perfect as the awkward Bella Brown. Through her performance, audiences are able to witness the character's development in how she overcomes her fear of life. Nevertheless, the depiction of Obsessive-Compulsive Disorder is rather poor, and the way in which the protagonist is 'cured' of OCD because she likes a guy from the library is just unbelievably ridiculous, and trivialising of a serious disorder. The end was, unfortunately, very predictable: the outcomes of all plotlines are obvious and tired. Nevertheless, it is not a terrible film. It makes a petty attempt to be daring, but ends up falling into conventional storytelling, and whilst it seriously lacks depth and originality, it is, though mediocre, an entertaining and endearing story about friendship.